In 2013, the entertainment giant Netflix began utilizing a disclosure program for researchers to report vulnerabilities. Starting in 2016, the company evolved the disclosure program into a private bug bounty that allowed specifically chosen researchers to gain monetary rewards for discovering vulnerabilities. The private Netflix bug bounty was conducted via Bugcrowd and it involved 100 of Bugcrowd’s best researchers. This number eventually increased to 700, and it was at this point that Netflix was showing a shift in its bug bounty protocol. 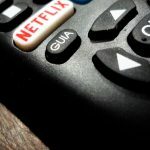 Now Netflix has, according to a recent blog post, again made some changes to its bug bounty program. Noting how the private program uncovered 145 bugs, and noticing how effective public bounties can be, Netflix has joined many other corporations in creating a public bug bounty program. The new public Netflix bug bounty program opens the vulnerability searching and reporting to all white hats. All aspects of Netflix’s services are fair game for the bug bounty, from the website to its various apps on mobile and other devices (like video game consoles). The payouts for bounties have also increased to help entice more white hats to join in on the hunt. The maximum payout at this point tops out at $15,000 and, while the average payout is closer to $1,000, this is bound to bring in the best minds if only for a payday. It will be interesting to see how this newly public bug bounty program will fare.